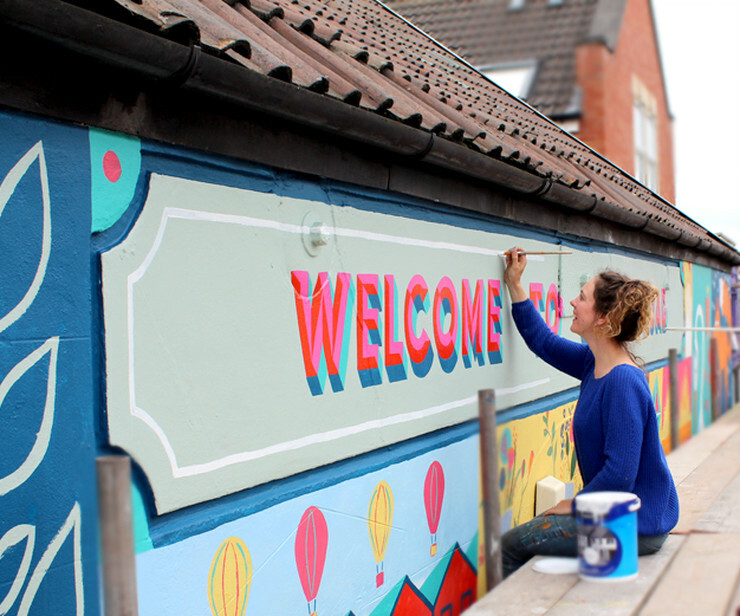 Art Eat Festival has been awarded a grant from The Big Lottery Fund to work with Zoe Power and produce a community mural in Ipswich. The project’s aim is to address and raise awareness of local issues as well as improve public spaces. 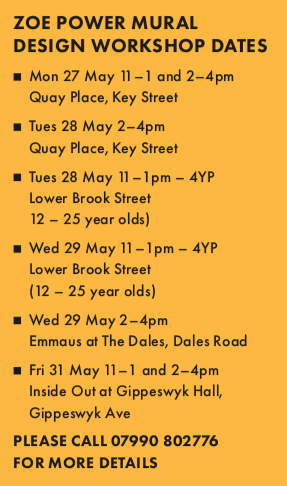 Mural design workshops will be led by Bristol community artist Zoe Power in collaboration with local organisations Emmaus Suffolk, 4YP, Inside Out, Suffolk MIND at Quay Place, YMCA Trinity Group and Suffolk County Council. High hopes are that the mural designed in the workshops will create a positive, uplifting message which is relevant for everyone to enjoy.